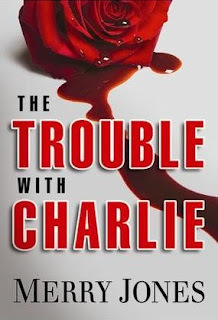 When I first heard of The Trouble With Charlie by Merry Jones, I snapped it up thinking it would be a typical murder/thriller novel where someone tries to find the killer. I was right, however, it is also so much more than that. It has a tad bit of humor (hopefully I'm not the only one who thinks this), a serious plot that seems to thicken throughout, and a possible haunting (if only in the heroine's mind). Now, before I go any further in my declaration of love for this novel, I must tell you a bit of what you will encounter if (and when) you decide to pick this phenomenal read up at your local bookstore. The Trouble with Charlie introduces us to a woman named Elle. Her friends have yanked her arm and forced her to go to a bar to loosen up and forget about her soon-to-be ex-husband, Charlie Harrison. Being that she hasn't been out on her own "in a decade" (Elle's own words), she is uncomfortable being there. So, understandably, she decides to go home and confront her loneliness (ironically) by herself (and possibly reruns of NCIS). However, weird things start to happen after she arrives back at her own place. A rose begins to seemingly move by itself all over the house and Elle begins to hear her ex's voice and feel his touch wherever she goes. These happenings become more and more unreal when she discovers Charlie's body dead in his study, a knife from her kitchen protruding from his back. Things take a downward spiral as Elle becomes a 'person of interest' in the case. Charlie's family suspects her, the police definitely suspect her and, after a bit of thought, she even begins to suspect herself. Holes in her memory give her doubts about what she truly knows. With the help of her four friends, a mysterious flash drive containing destructive evidence, and the will to be found innocent, can Elle find Charlie's true killer? Or will she be convicted for a crime she may, or may not have, committed? I loved this. It was written wonderfully, and the format of the novel surprised me in a way. I am a chapter girl so, looking through the book, I was shocked to find that it has no chapters! No book I have ever read has not had chapters. The parts are separated, of course, by little decorative lines (not sure about the term, haha) and IT WORKS! The story works with the format. In fact, I believe that chapters would have probably made it harder to follow the story. Kudos to you, Merry Jones, Kudos to you. Nothing more to say, except: Five out of Five stars. I recommend this book wholeheartedly to everyone who loves thrillers, for this has to be one of the best I have read. 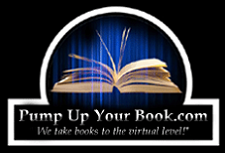 About the Author: Merry Jones is the author of multiple suspen novels and thrillers, as well as humor and non-fiction. 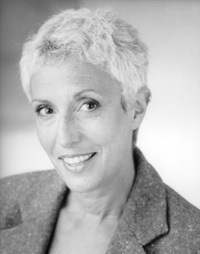 Jones is a regular contributor to GLAMOUR, and her work has been printed in seven languages and numerous magazines. Her short story, BLISS, appears in the anthology LIAR LIAR, a project of the Philadelphia Liars Club. 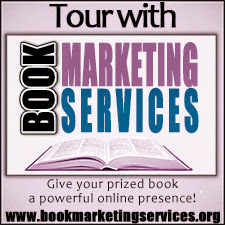 In addition to the Liars, Jones is a member of Mystery Writers of America, The Authors Guild and International Thriller Writers. For the last fifteen years, she has taught writing courses at a variety of institutions, including Temple University and Delaware County Community College. She has appeared on radio and television (local and national), and participates in panel discussions and workshops regularly. To find out more about her and her work, visit her website, www.merryjones.com/. The Giveaway: The publisher is giving away 10 physical copies of The Trouble With Charlie, so heed Kayla's words and sign up to win before it's too late! The Trouble With Charlie sounds like a good one, I like that there's humor in the mix. Not having chapters seems to have worked well.